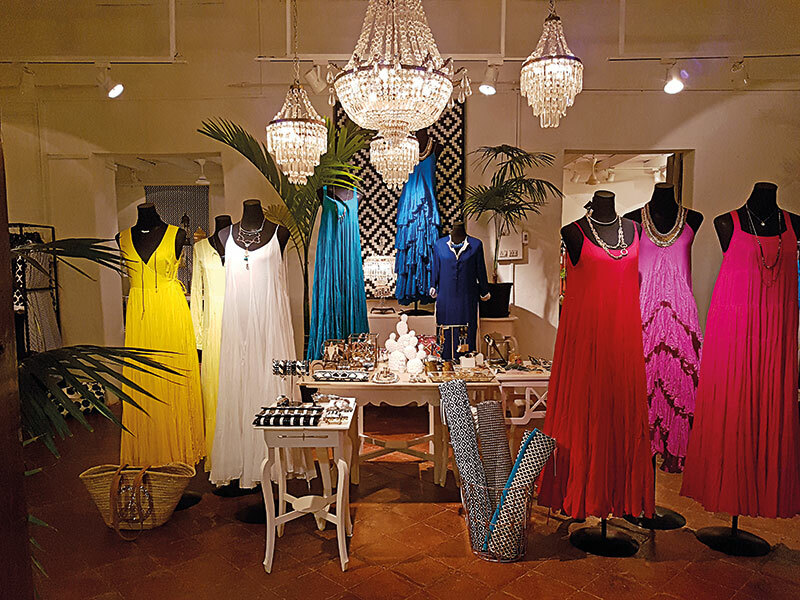 The duo that runs a fashion and lifestyle space called The Flame Store first met at a fashion week in Mumbai. Jagvir Matharoo, who is an NIFT alumnus, headed a design team in an export house for about seven years and after meeting Martino Caramia, the idea to move and work in Goa seemed perfect. For Caramia, an early apprenticeship at a classic men’s suit label built a strong foundation of patternmaking and an eye for detail. This developed into creating and running design stores in Europe. Flame, founded in 2010 is a result of his love for Indian textiles and craftsmanship. Jagvir Matharoo (JM): The pollution, the traffic and the corporate race in Mumbai got very tiring after a point. I needed to shake things up in my life…professional and personal. Since Martino had a base in Goa, it was an easy decision for me. I had visited several times earlier but only as a tourist. Living in Goa has been an invigorating experience. Martino Caramia (MC): Living in Europe had made me complacent. I travelled to India for the first time a decade ago and absolutely fell in love with Goa. It is an oasis filled with creative and calming energy. JM: Living and working in Goa can be challenging. We take almost everything for granted in big cities. Be it a simple plumbing issue or having access to public transport. Acquiring skilled labour can be tough, so training and retaining staff is extremely vital. JM & MC: We both share the ideology that ‘less is more’. We rarely invest in new furniture but try and restore older finds. We have been fortunate to share a part of our lifestyle through our new shop The Flame Store in Candolim. Set in a 300-year-old Portuguese villa, the store is fuelled by simplicity and sustainability. To be able to extend our philosophy of design and living while retaining and respecting heritage has been a fulfilling experience. JM & MC: Nature can make you extremely humble. It frees you from the pressures of metros. Our label is inspired by the elements of nature. From the colours to the prints, our design process amalgamates earth, water, the sun and the moon. JM & MC: We live in a small village which is completely cut off from the main commercial hub. This is the true essence of Goa away from the parties and all the noise. Small narrow lanes, old Portuguese homes, the smell of fresh-baked poi, sunset on the beach, lush tropical palms and the joy of being able to slow down the pace of life.